The Ultimate Holiday Party | 4 Fabulous Tips! How To Make Your Holiday Party Unforgettable! So you’ve carefully planned your ‘Las Vegas’ themed Holiday party. 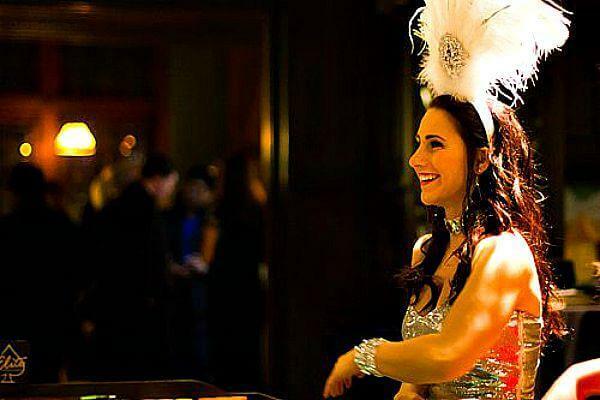 You’ve found the perfect casino party vendor with beautiful tables and equipment, one who is also, highly recommended. So now you’re thinking – what can I add to make this Holiday party spectacular? First off, just choosing to have a casino themed party is a great idea! – If spectacular is your goal, consider these 4 tips that will make your Holiday party be the talk of the office for weeks to come! Holiday Party Tip #1 – Let Them Be Silly! Today’s world is bombarded with ‘Selfie photos,’ just click open any social media page to see the truth! This ‘Selfie madness’ is not limited by age, gender or social status. Basically, everyone is doing it, and that’s a sign that people love having their picture taken! – So follow that trend! A themed photo booth at your Holiday party adds an element of playfulness that engages everyone! Most photo booths will come with plenty of fun props and this will add to the silliness! Letting go of inhibitions and being silly, (even for a photo moment), always brings merriment to any Holiday party! All of them include our custom designed backdrop, plenty of red carpet installed, fun-themed photo props and our talented photographer who will take 300+ images per event! If you’re on a budget and want to save money – ask about our ‘Selfie’ photo booth option. It comes with all the same equipment with an iPad and tripod to take ‘Selfie’ digital images. This format allows your digital photos to be uploaded instantly to the internet, sent to an email or posted on any social media website! 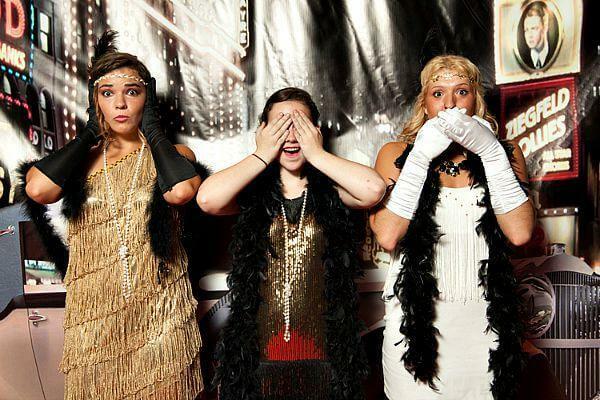 It’s a sure bet that a themed photo booth is always a winner, so don’t think twice! – Just book it! Holiday Party Tip #2 – Move Their Soul! Should you hire a DJ for live music at your event? Absolutely, it’s important to fill your event with an atmosphere that emulates the Holidays, and music does that magnificently! The right music, sound and lighting can liberate our soul and make our bodies move with joyful delight! It’s said that ‘dance is the bodies expression of what the soul feels!’ If that’s true, then move their soul! – Hire a DJ for your Holiday party! With hundreds of DJ’s to choose from in Pittsburgh – be sure to find one who’s keeping up with the technology, and the times. Our house DJ’s, offer the latest state-of-the-art sound-systems including speakers, wireless microphones and speakers, with amazing décor and dance lighting! We’re very excited to be premiering a new high-tech service that allows our clients’ the ability to go online, and ‘click to choose’ any songs they want for their Holiday party! This can be done weeks or even months in advance! Clients can choose just a few favorite songs, different genres, or if they want, the entire 5-hour playlist! This innovative service allows our clients’ to prepare for their Holiday party long before event day; plus it’s a pretty cool way to do it! Holiday Party Tip #3 – Add Something Glittery! Every Holiday party needs a bit of enchantment. Our glittery goddesses offer sophisticated elegance and charm, while adding an authentic element to the theme of any Holiday party. Elite Casino Events Showgirls’ are trained to be graceful, approachable and always helpful. They consistently bring Elite’s 5-star service standards to every event. All of our showgirls are camera comfortable, and are happy to take photos with, (or even for), your guests. They can help by offering assistance throughout the event directing and informing guests of the evening’s festivities. They easily enhance the atmosphere of the party by keeping everyone engaged in casino gaming, dancing and photo booth fun! Most importantly, they can’t help but create smiles, because everyone knows that a genuine smile is contagious and they always have one! Holiday Party Tip #4 – Add the OMG Factor! Any ‘Las Vegas’ theme Holiday party wouldn’t be complete without a little magic! Elite Casino Events hires only the very best magicians in the Pittsburgh area! We guarantee that your guests will be dropping their jaws in amazement saying, ‘OMG, how’d he do that?’ Our strolling magicians are perfect for any Holiday party! We recommend them for your opening reception; they’ll get your guests engaged and excited for the evenings’ festivities with amazing sleight of hand magic! Be warned though, you may not want to give them your wallet, because they’ve been known to set them on fire a time or two! Creating the perfect Holiday party is all about engagement – essentially that’s what a party is all about! It’s a certainty that the casino games along with a photo booth, a DJ, a showgirl and a magician – will easily create a dynamic combination of entertainment that will make your Holiday party…unforgettable! Elite Casino Events Contest Giveaway! Mirror Photo Booth Is More Than Photo Fun! Pittsburgh – 5 Amazing Places for a Casino Party! We play only for fun, but if you play for real please play responsibly. Sign me up for the Elite newsletter so I can receive special offers and bi-monthly updates.